Developed and published by Ubisoft. Releases on February 23, 2016. Available on PlayStation 4 (reviewed) and Xbox One. Available on PC March 1, 2016. Review copy provided by publisher. The fact that Far Cry Primal exists is bizarre on every conceivable level. This is a Triple-A gaming franchise about fighting terrorists and criminals in distant, uncivilized lands, which suddenly decided to introduce wooly mammoths at the dawn of civilization. There isn't a machine gun, radio tower, or exploding vehicle in sight as your traverse the gorgeous vistas of Oros. But the truly incredible thing about Primal isn't that It exists - it's that it works. In fact, Far Cry Primal isn't just a great Far Cry game, it's the best use of Far Cry's mechanics and themes in the entire series. 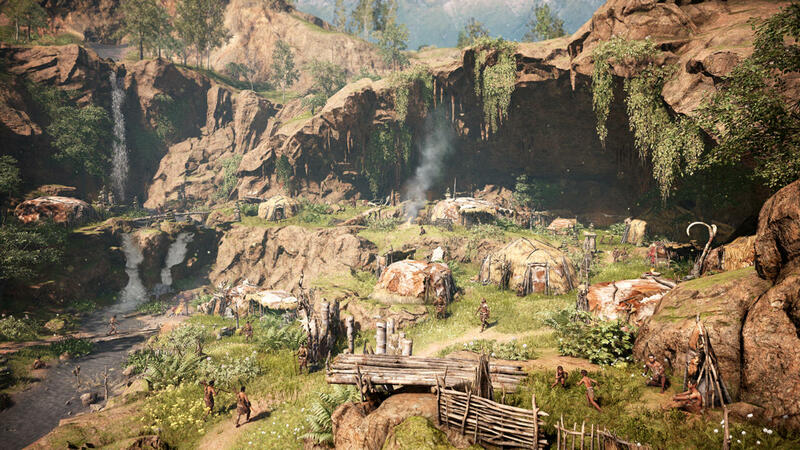 Far Cry Primal is set in Oros, a lush Central European valley in the year 10,000 BCE. 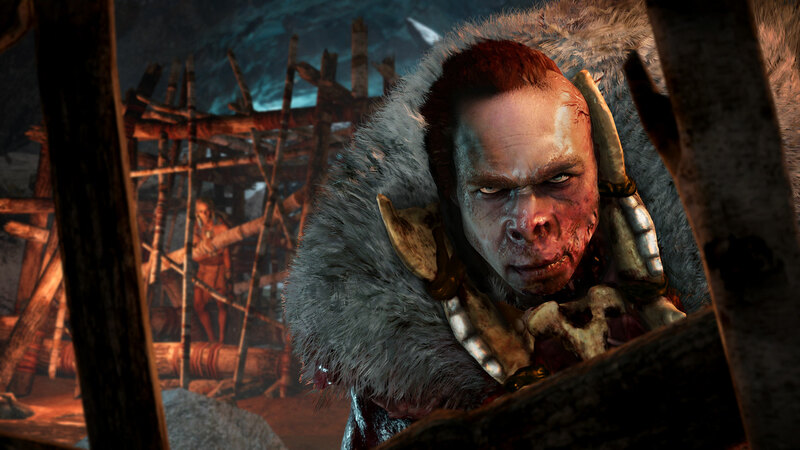 You play as Takkar, a hunter who has just arrived in the valley seeking his fellow Wenja tribespeople. He quickly finds the Wenja have fractured and dispersed across Oros, constantly coming under attack from wild animals and rival tribes. Founding a village, Takkar sets about gathering and strengthening his people until the Wenja can become the dominant tribe in Oros. Outside of its presentation a prehistoric survival game, the standard Far Cry formula is completely unchanged in Primal. You'll explore a pristine, gorgeously rendered landscape, unlocking various side quests and battling a huge range of native wildlife. The only real changes are removing any vestiges of modern technology - radio towers have been replaced with signalling bonfires, and your weapons consist of spears, clubs, and arrows. Yet instead of making Primal feel like a scaled-back Far Cry, everything feels refined into a purer, more brutal survival experience. A big reason this works is each individual mechanic reinforces Primal's survival themes. Hunting animals for food and crafting supplies isn't an arbitrary diversion from the storyline, it's a necessity when humans aren't apex predators. Primal's core gameplay experience is built around these systems, making it just as satisfying to track and kill your prey as defeating an entire outpost of combatants. In fact, it runs so smoothly, you'll probably forget about the main story while hunting in remote regions far from your village. Of course, the diverse landscape of Oros certainly helps on that score. This is a beautifully lush setting filled with prehistoric creatures - deer, wolves, sabertooth tigers, woolly mammoths, even the lesser known woolly rhinos. And that's not even getting into the plant life, such as the towering treetops which are difficult to imagine covering the surface of Europe today. 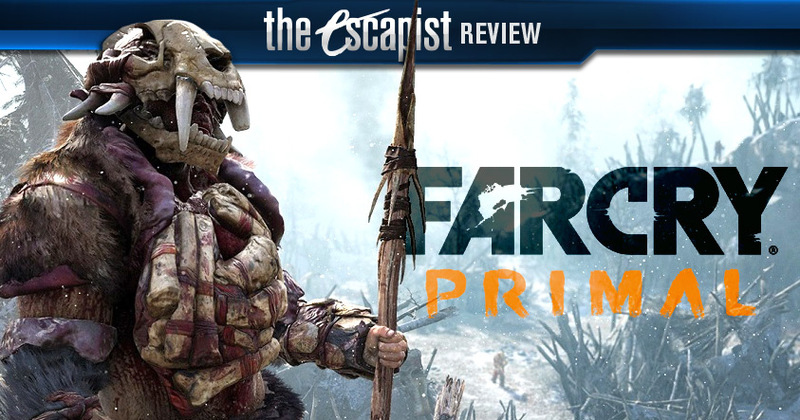 Far Cry games usually simulate a natural environment, but Primal really outdoes itself on this score. Even the sound design is top-notch, with wolf howls giving away a pack's location, or a growl warning players they've stumbled into the territory of an unseen predator. What's better is you don't have to experience Oros alone. Primal grants the player Beastmaster abilities, letting you tame the wolves, cats, and even bears you encounter in the wilderness. Taming is itself a challenging exercise, requiring you to lay bait and calmly approach a wild animal that might attack at any moment. 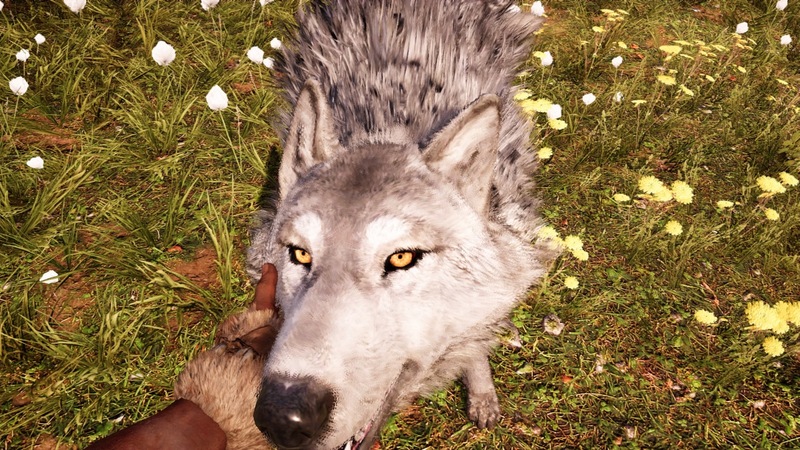 But once they're tamed, these animals become loyal companions, hunting beside you, switching into stealth when you do, and occasionally scaring off weaker animals which try sneaking up on you. It's hard not to feel a bond with each fuzzy animal you tame, or genuine guilt if they die on your watch. Thankfully you can resuscitate a fallen animal if you have enough red leaves handy. Beastmaster abilities also extend to your owl, who is effectively Far Cry Primal's version of binoculars. At any point, you can spiritually bond with the owl as it flies overhead, scouting the landscape and tagging enemies. It's a nice twist on Far Cry's usual scouting mechanics that keeps the general system in place without a technological explanation. That's not to say the magic realism elements won't clash with Primal's survivalism, but they're still undeniably fun to play. Where Primal really goes above and beyond is ensuring the story serves gameplay, and not the other way around. Your primary objective isn't to escape Oros and return to civilization - you're trying to build it from the ground up. As such, quests involve recruiting new tribespeople into your village or securing resources to support them. As you reach certain milestones, a minimal but well-presented story emerges of the rival tribes vying for control of the Oros valley. Primal eventually places prime enemy fortresses on the map, but almost as an afterthought - you only direct your attention when you feel prepared to handle them. That's not to knock Primal's story, by the way. 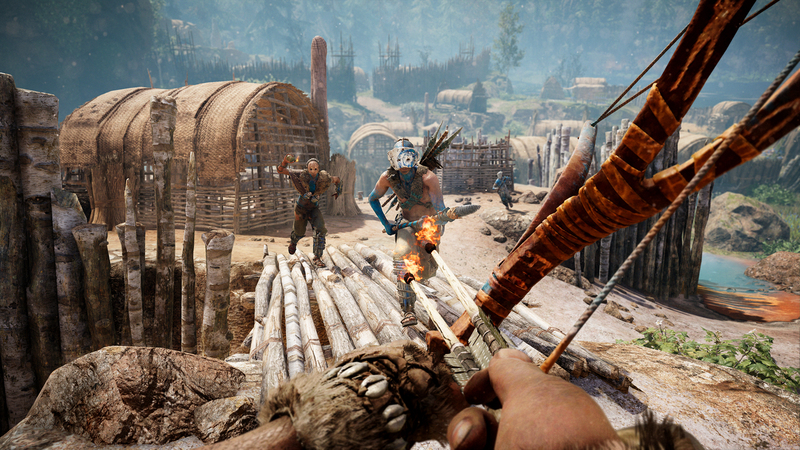 Ubisoft has put an impressive level of work into its narrative, to the point of crafting three languages used by the Oros tribes. The unique characters you bring back to the village have strong and diverse personalities, helping you view them as individuals instead of quest-givers. It's just that Primal's story is fairly limited and straightforward, with plot twists you can probably guess within the first few hours. What struck me far more were subtle narratives which play out in the background - like exploring the village at night to find tribespeople singing and dancing. Or sneaking through an enemy camp and stumbling across enemy tribesfolk during... an intimate moment. 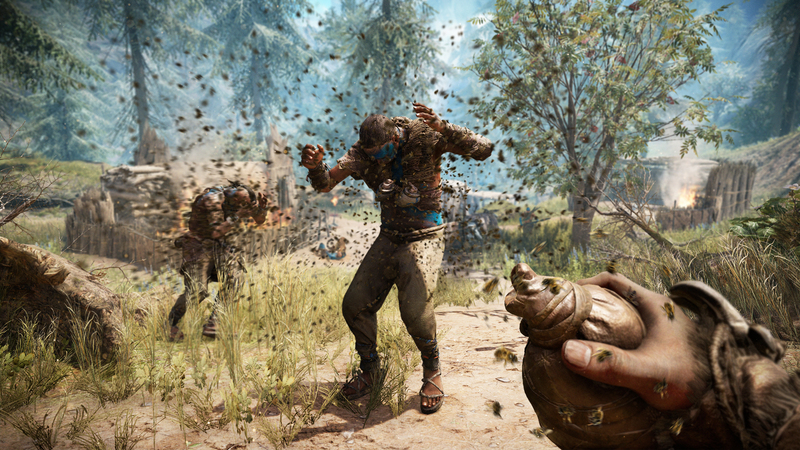 Sure, Primal still has some minor quibbles which take away from the Far Cry experience. Some skills are automatically unlocked for key points in the story quest, but not actually unlocked in the skill tree, forcing you to buy them again. Your aiming cursor is a tiny speck on the screen, which can be especially frustrating for precision weapons such as the bow. Your hunting vision mode deactivates after a few seconds, but you'll probably need it for longer periods while tracking prey. 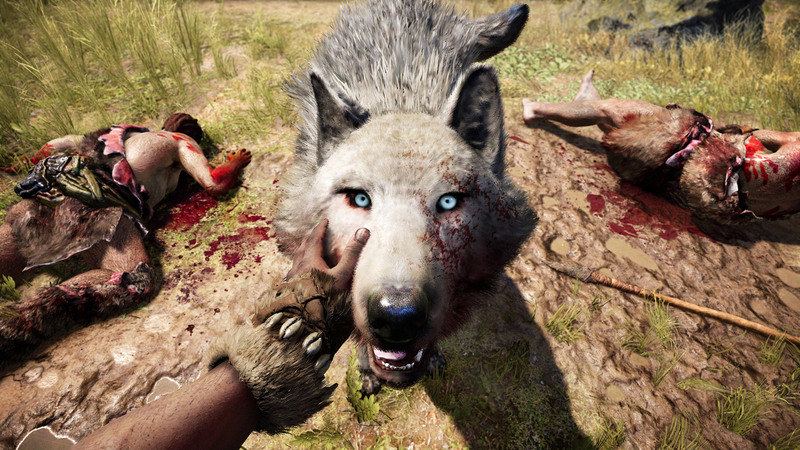 On the whole, however, Far Cry Primal does a remarkable job of immersing you into its Stone Age world. 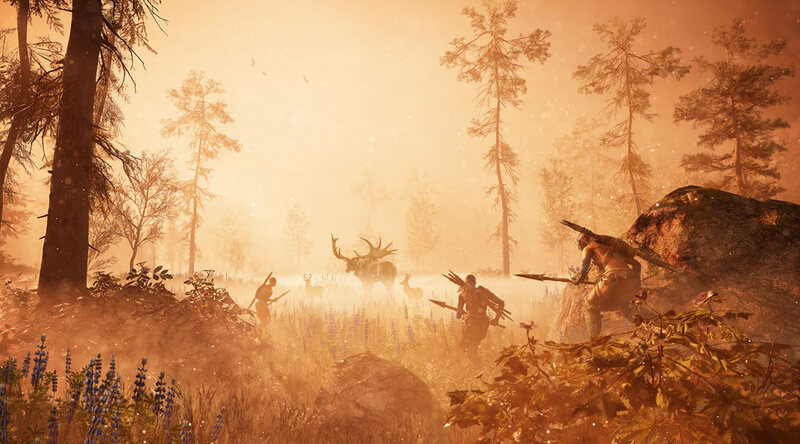 In fact, Primal finally feels like the game Far Cry has been building towards for years - an open world you can explore and hunt in for its own sake, whether you're interested in its story or not. 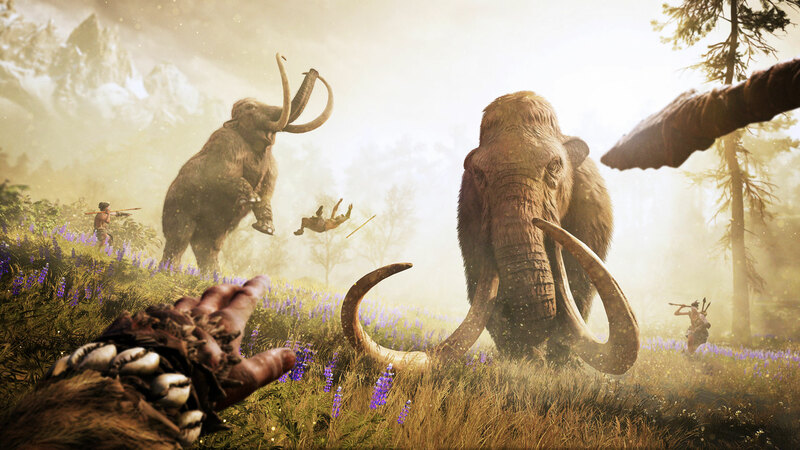 Bottom Line: Far Cry Primal is the Stone Age survival game we never expected from the Triple A industry, complete with a lush prehistoric world you can explore for hours. Recommendation: Do you like Far Cry and survival games? Play Primal right away. You won't regret it.